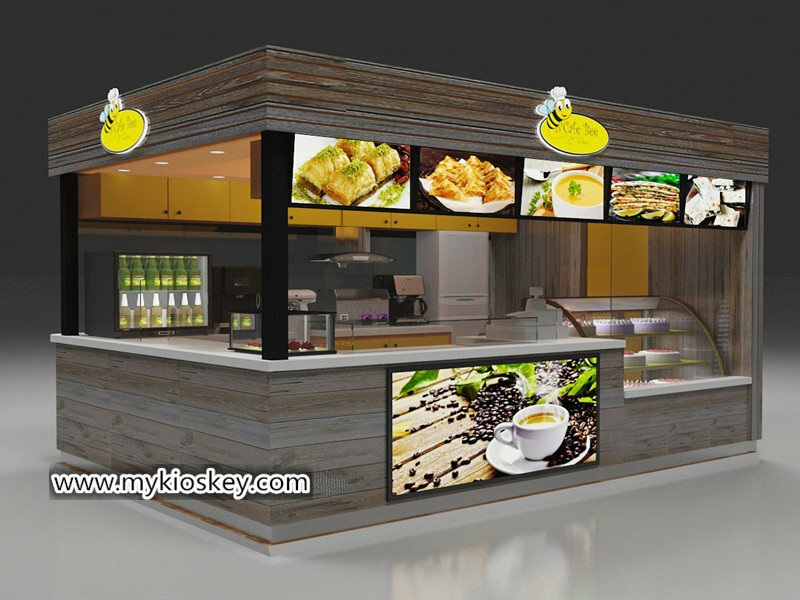 recently,more and more customers are asking for a street food kiosk,which will like a small news stall,can be putted in railway station,subway station,street or outdoors to sell food,beverages or fast food etc. 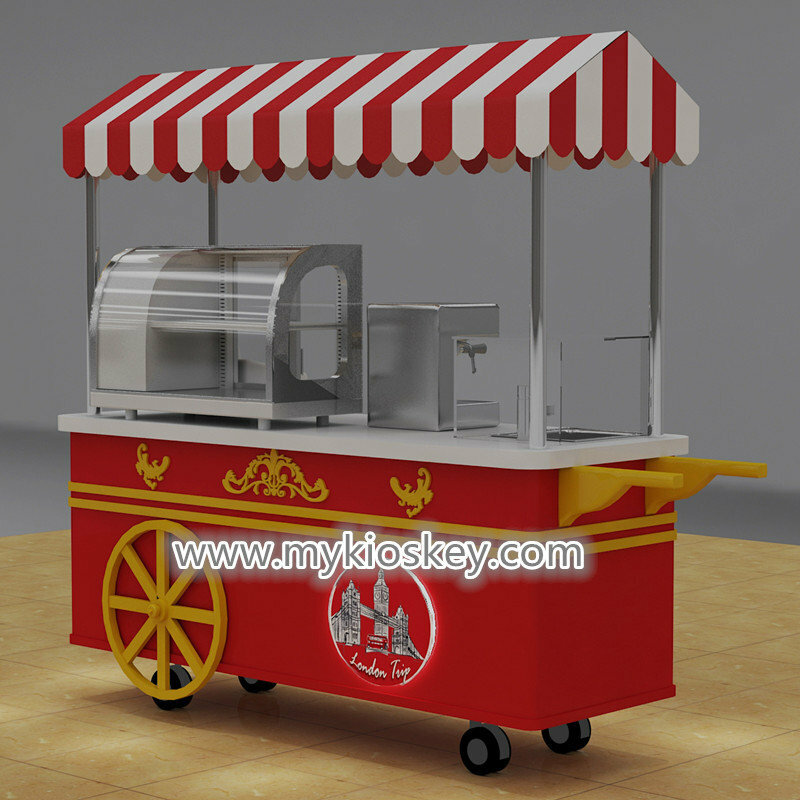 why so many people prefer a street food kiosk than mall kiosks? 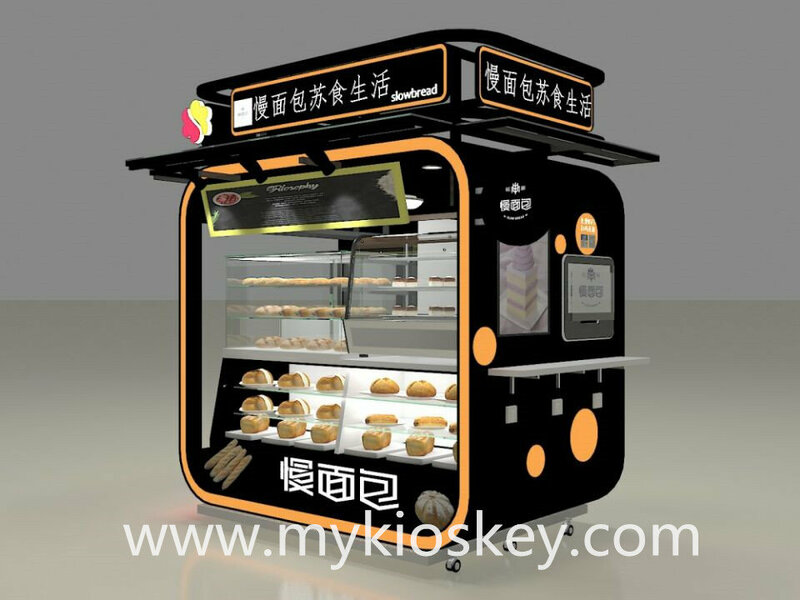 because a street food kiosk just need a little space,the rent cost is low,and street have more people than mall.But a mall kiosk rent is high and procedure for examination and approval is complicated. 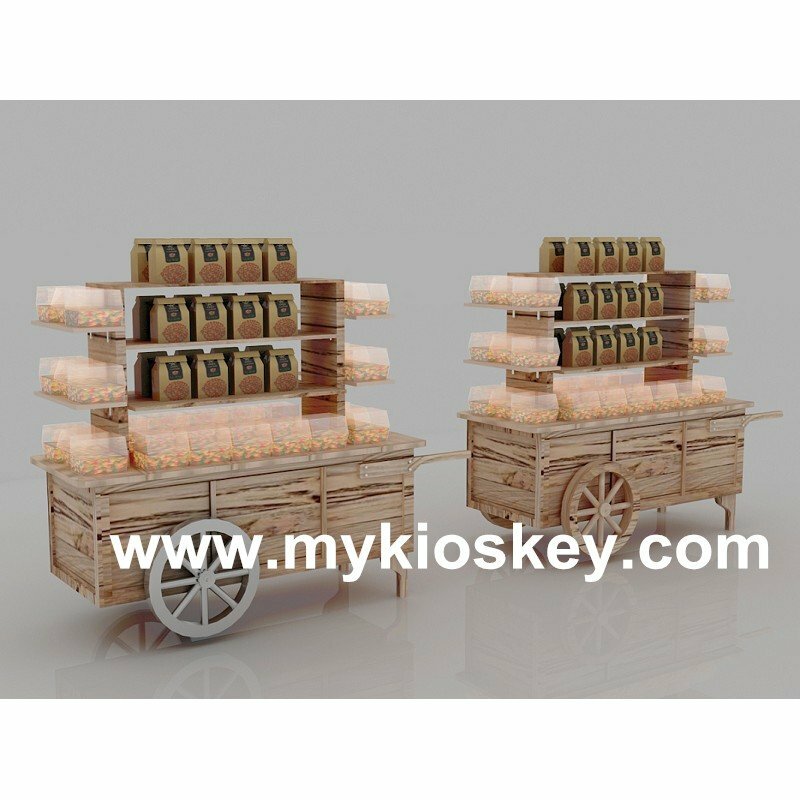 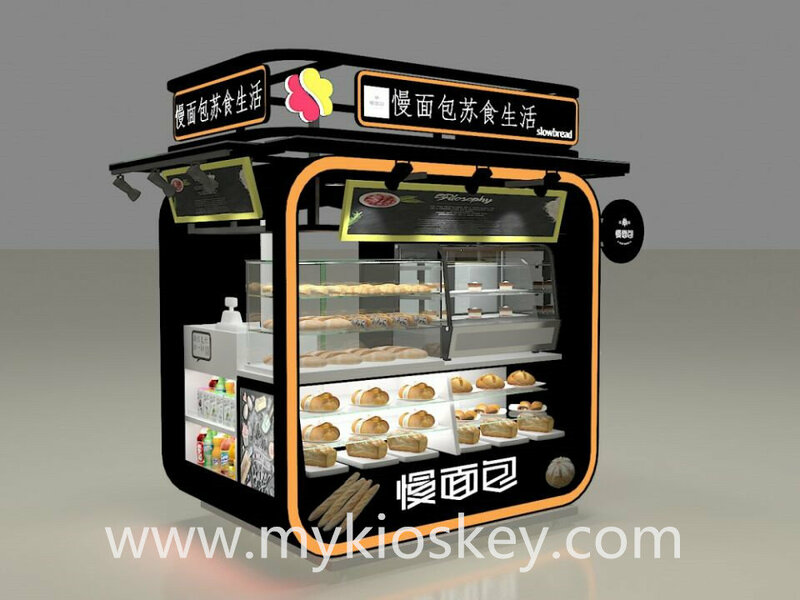 good news,we just designed a very lovely bread kiosk,want share with you! 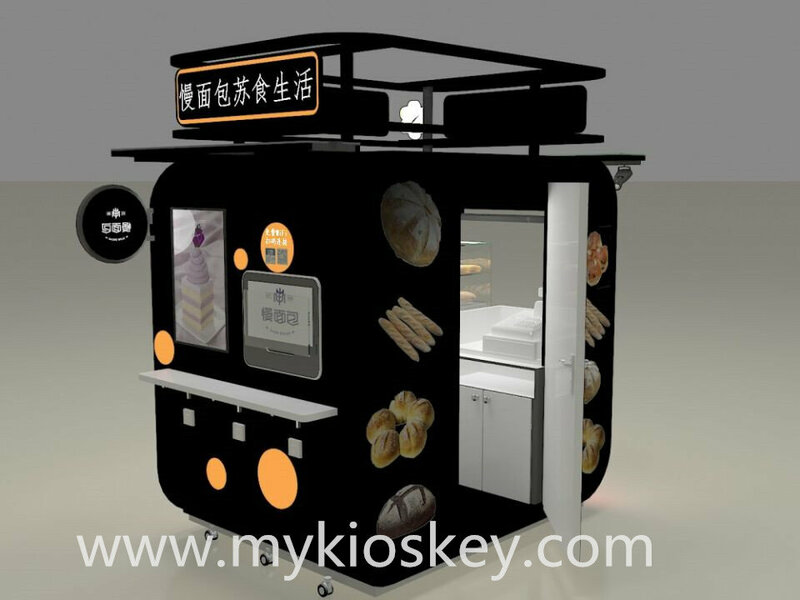 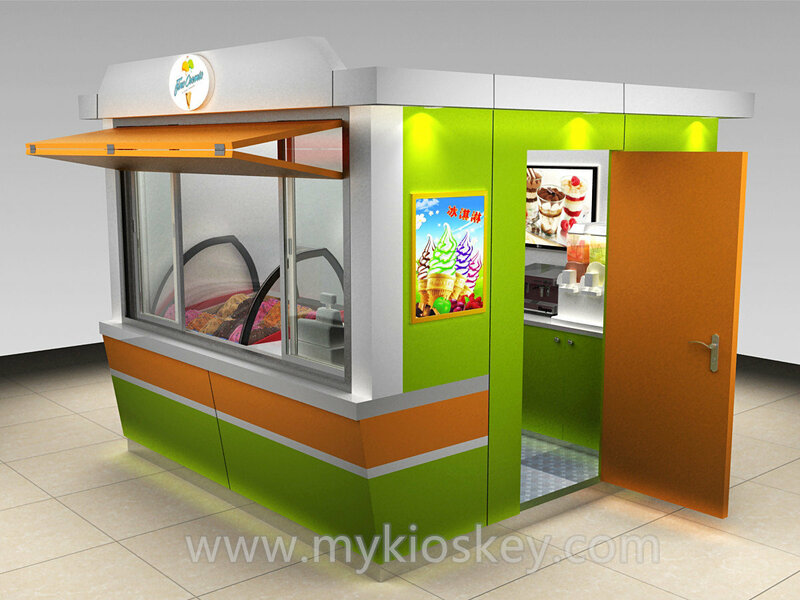 see this street food kiosk,very eye-catching design,isn’t it? 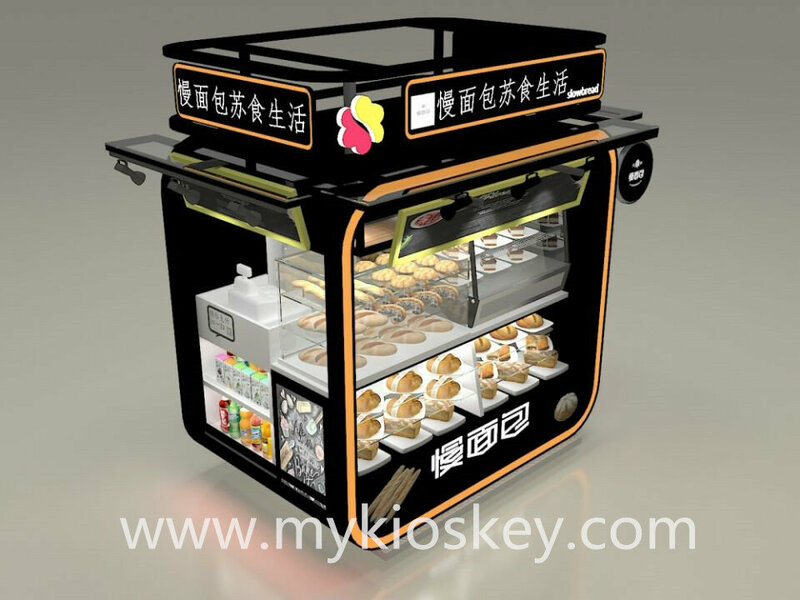 it is used to sell bread,cakes and desserts outside the gate of railway station.it is just 2m by 2m,a small food kiosk,but very unique design.totally looks like a big bread,use black color match yellow color.left,front side will have roller shutter doors,when close,can close the doors. 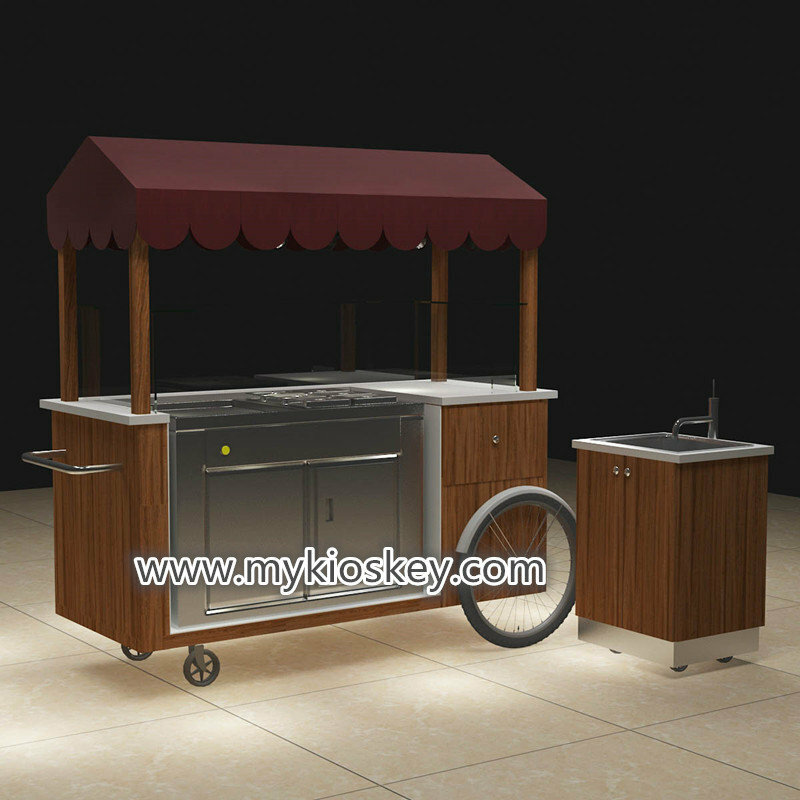 the back side is a door for staff to get in and out.the right side a small table for people to have drink.total design is very mini,but attractive and functional.do you like it? 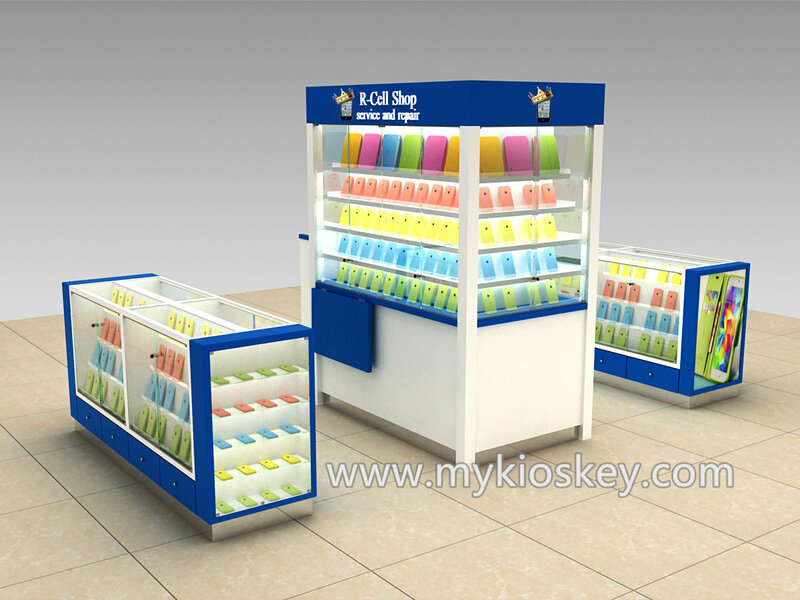 What does this kiosk included? 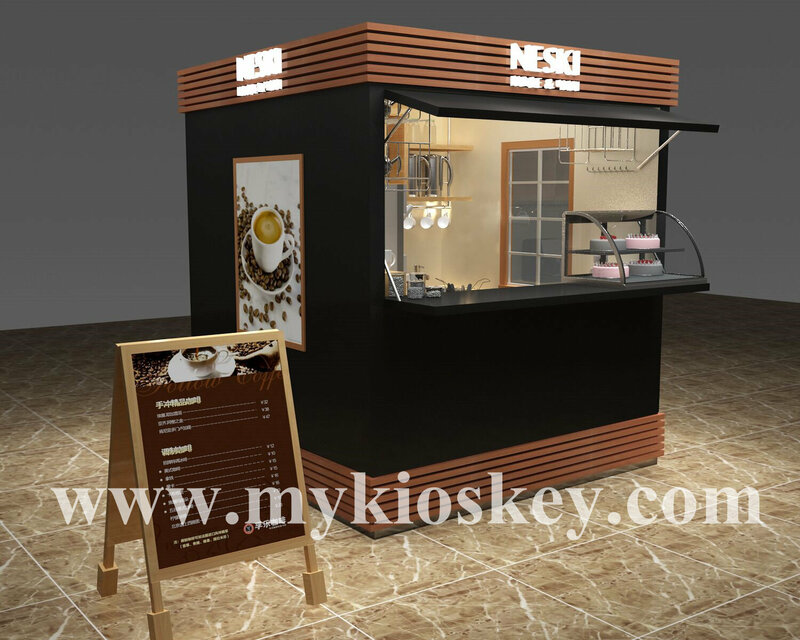 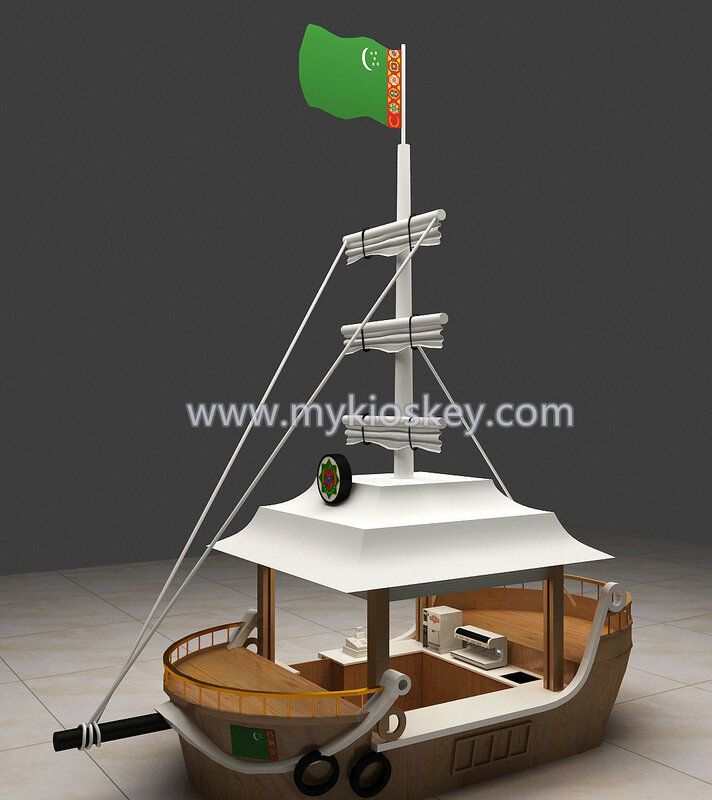 many customers will ask what comes with this kiosk,what the price included? 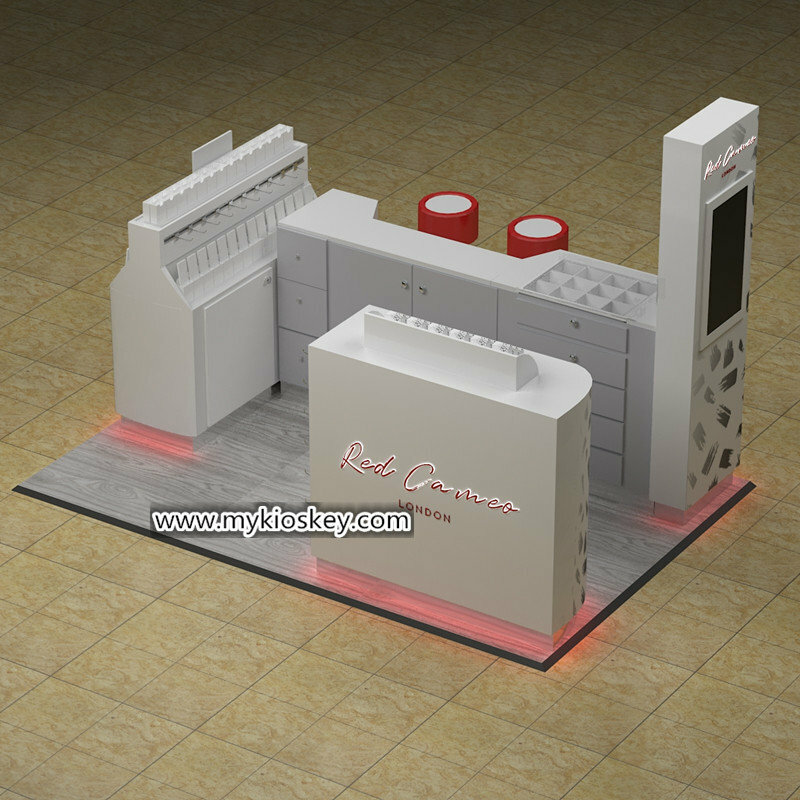 we will do the inside all wood counters,logo,led signs,electricity(sockets and wires),sinks,toppings(if need) for you. 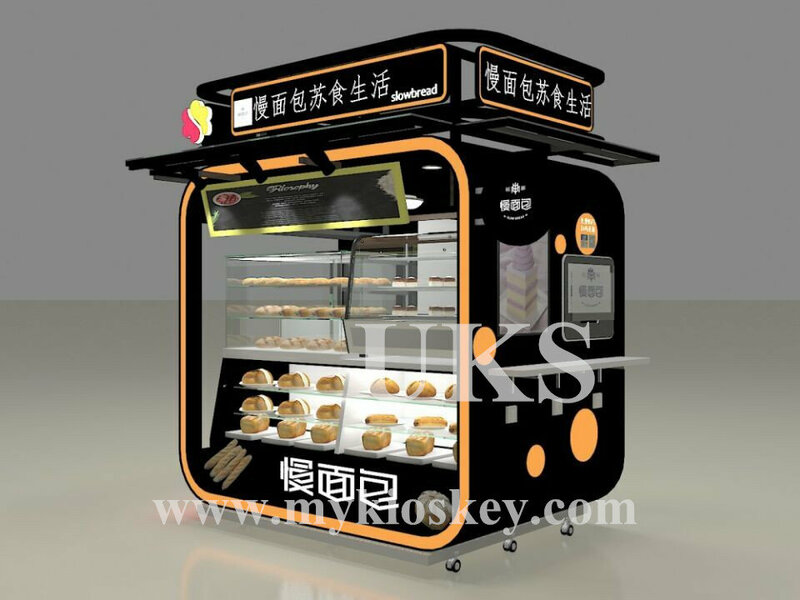 when you received the teeth whitening kiosk,just follow the number put them together,connect power,then can use. 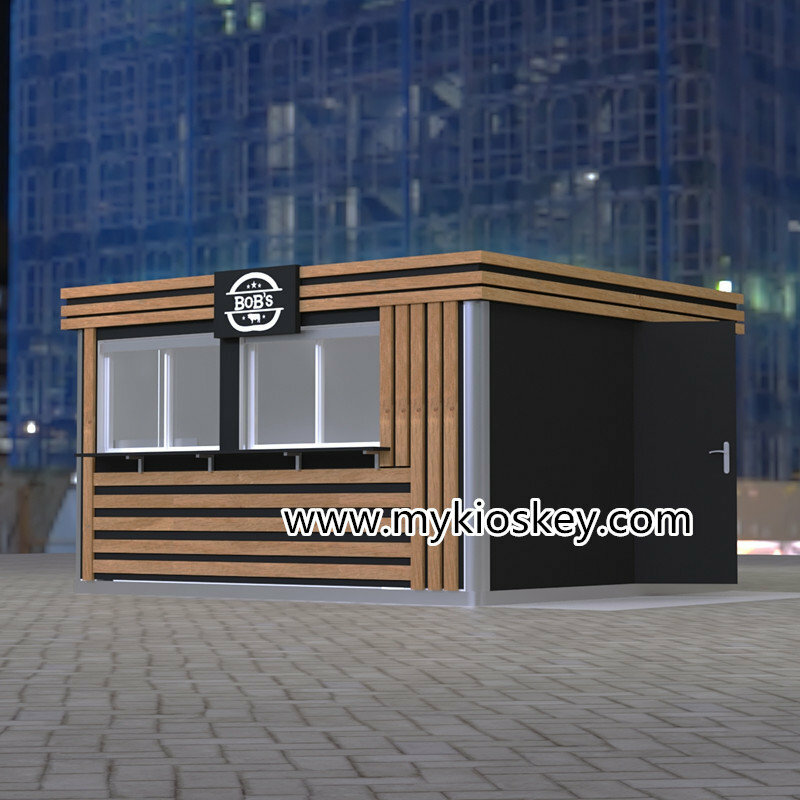 How we pack this street food kiosk?